LG is one of the best when it comes to providing TVs that have immersive OLED technology. Now, you can enjoy the same incredible colors with the LG V30+. The LG V30+ will have a big 6-inch OLED FullVision display with a sleek bezel-less design. You can expect crisp images at it will be running at 2880 x 1440 resolution. Since it is an OLED display you can expect real, deep blacks and more vivid colors. It is also going to be supporting HDR10 and Dolby Vision standards that will allow it to utilize a wider range of brightness, contrast, and color range. 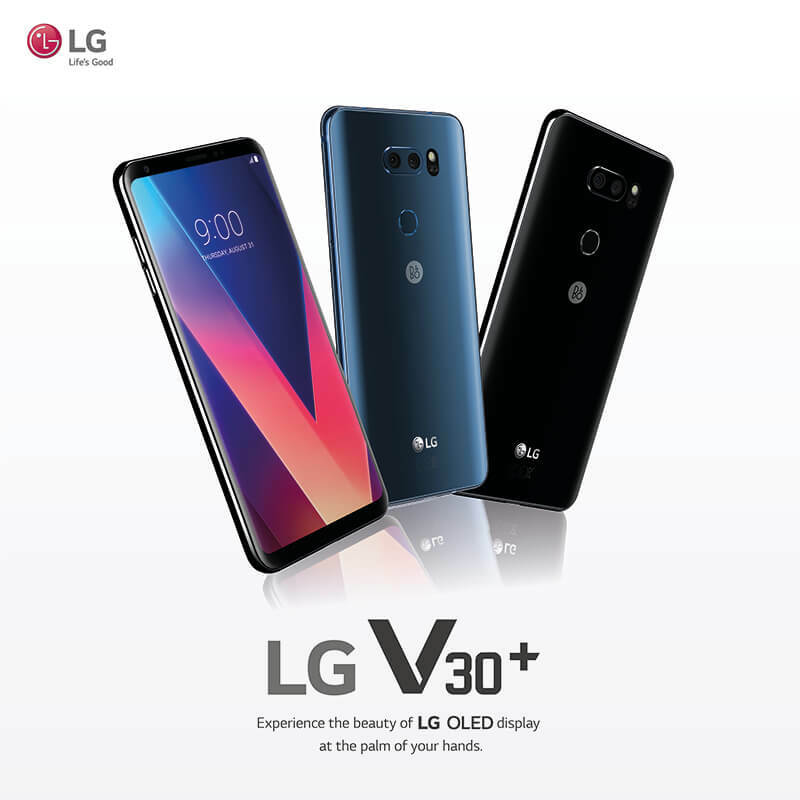 You can also relive your moments in this FullVision display by capturing them using the LG V30+'s dual camera setup. It has an aperture size of f/1.6 that can let in more light compared to other smartphone cameras. One of the cameras has a wide angle lens that will allow you to take photos with a bigger field of view. You can also take advantage of LG's Cine Video mode that will make video capturing a more cinematic experience. The LG V30+ will also be housing a Snapdragon 835 chipset, 4GB RAM, 64GB / 128GB of internal storage and an IP68 certification. It will also sport Face Recognition, Voice Recognition, Fingerprint Sensor and Knock Code. It is priced at PHP 46,990!